Home » Review » Grocery Headquarters Review! Comments Off on Grocery Headquarters Review! The Grocery Headquarters was kind enough to review Cheesewich in their Fresh Talk section of the November 2014 issue! To read the entire article and to hear what they say about our tasty cheesewich products, click on the Grocery Headquarters link below. 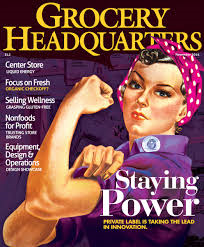 Read the Grocery Headquarters Article here!